At last a West End show being extended rather than curtailed! It seems that the past few shows we have announced as being extended seemed to have fallen by the wayside, so let's hope the same is not true of this one. 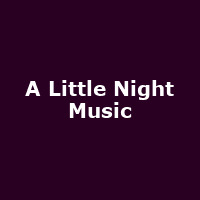 The popular production of Stephen Sondheim's 'A Little Night Music', featuring Jessie Buckley, Kaisa Hammarlund, Alexander Hanson, Maureen Lipman, Kelly Price, Alistair Robins, Gabriel Vick and Hannah Waddingham transferred from the breeding-ground for West End shows: The Menier Chocolate Factory in March this year. The show was originally due to end in July, but is currently set to run until Saturday 5th September at the Garrick Theatre on Charing Cross road. Tickets, costing £49 to £59 are available now. Wed 1st May 2019 to Sat 4th May 2019 CatsMore Info..
Jul 2009:Special Offer: A Little Night Music to close 25th July 2009 - top seats available for half price! Mar 2009:Send in the Musicals - Sondheim is Back!